NICOLAS OBREGON is British, born of Spanish parents, and grew up between London and Madrid. Currently an editor for a legal publishing company, he previously worked as a travel writer and gained extensive experience of Japan. 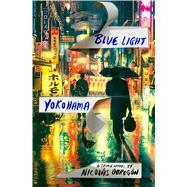 Obregon lives in the UK and Blue Light Yokohama is his first novel.